Commercial and real estate litigation, business bankruptcy and reorganizations, business dissolution, condemnation, construction, consumer disputes, contracts, defamation, disability, employment, professional liability, financial, insurance coverage, intellectual property, real property, sports & entertainment, estate planning & administration, and family law including child & spousal support, custody & visitation and equitable distribution. Formerly Of Counsel, Shulman, Rogers, Gandal, Pordy & Ecker, P.A., Potomac, MD. Former Chair, Bankruptcy and Creditors’ Rights Practice Group, Shulman, Rogers, Gandal, Pordy & Ecker, P.A. Former Chair, Title Dispute Resolution Group, Shulman, Rogers, Gandal, Pordy & Ecker, P.A. Member of District of Columbia (1971) and Maryland (1972) Bars. 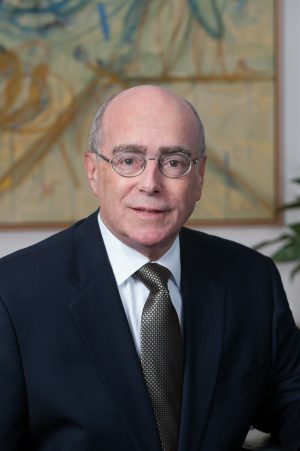 Former Managing Partner, Meyer, Faller, Weisman and Rosenberg, P.C., Washington, DC. Past President, Bankruptcy Bar Association for the District of Maryland. Listed in Washingtonian’s Top Lawyers, 2007, 2009, 2011, 2013, 2015, and 2017. Listed in The Best Lawyers in America. Listed in Maryland SuperLawyers and District of Columbia SuperLawyers. Mediator of civil disputes for more than 30 years. Court approved mediator, Circuit Courts for Montgomery, Frederick, Calvert, Washington, and Howard Counties, MD. Court approved mediator, United States Bankruptcy Court for the District of Maryland and United States Bankruptcy Court for the District of Delaware. Author, Dispute Resolution of Bankruptcy Cases, Maryland Bar Journal, Sept./Oct. 2005.